Obituary for Mandie Lee Elswick | Donaldson Funeral Home of Clarksville, P.A. On Sunday, January 27, 2019, Mandie Lee Elswick, a beloved daughter, passed away at the age of 19. Mandie was born to Bruce and Tiffany Elswick on October 15, 1999. Mandie was adopted at the age of three by Adria (Slaughter) Lewis and Dexter Slaughter after suffering an anoxic brain injury in July of 2002. Mandie was neurologically devastated because of that near drowning. Mandie had always been a fighter, never wanting to give up. She had been through so many surgeries, procedures, pokes and prods over the years. 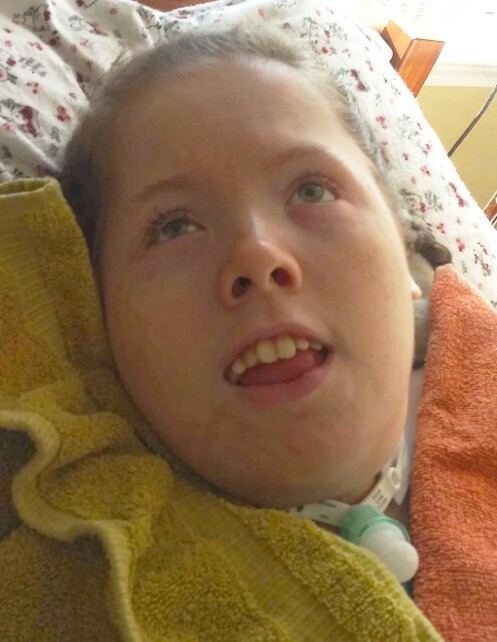 We have seen her at her worst, packed in ice fighting off a hardware infection to her best when she was bright eyed, smiling and making noises to everything in between. We always believed Mandie had been on this earth for a reason; she brought awareness and touched many people throughout her short life. Mandie is survived by her adoptive family, father Dexter Slaughter, mother Adria Lewis, stepfather Ryan Lewis, Slaughter siblings Josh (23), Ayanna (17), Tyler (15), Angel (10), Elijah (10) and Leah (2). Her biological family, Bruce and Tiffany, and Elswick siblings Erica (20), Bruce Jr. (17), Brandon (15) and Savana (13), as well as numerous Aunts, Uncles and other family. Viewing will be held on Sunday, February 3, 2019 at Donaldson Funeral Home of Clarksville, P.A., 12540 Clarksville Pike, Clarksville, MD 21029, from 1:00 – 3:00pm followed by the funeral service at 3:00pm and viewing will conclude by 5:00pm.